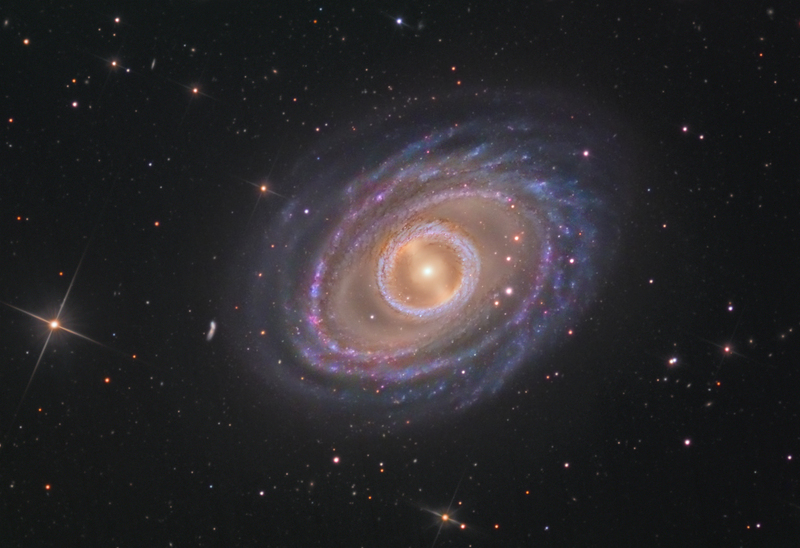 NGC 1398 is a barred spiral galaxy in Fornax, approximately 65 million light years distant. It’s angular size is about 5.4 x 7.1 arcminutes — the longer dimension is slightly less than 1/4 of the moon’s diameter. There aren’t too many amateur images of this object. RCOS 16″ @ f/11.3; Apogee U9; Planewave 200HR; LRGB with 15 hours Lum and 6 hours/channel RGB; processed in PixInsight and Photoshop; SSRO @ CTIO, Chile; data acquired in Jan/Feb 2015.